Mundial Scissors and Shears are made from the highest quality Alloy Steel! The Mundial Warranty - all Mundial products will be free from defects in materials & workmanship, during normal use, as long as you own them. For Scissor Storage Idea's Click Here! Check out our Electric Scissor Sharpeners! Perfect for embroidery, lace and doilies and fine work with threads. The classic stork pattern makes sewing more fun! The local quilters guild gives these scissors a five star rating and many say these are the best scissors made for fine quilting and embroidery. These are 3 1/2 inch gold plated embroidery scissors. Perfect for embroidery, lace and doilies and fine work with threads. The local quilters guild gives these scissors a five star rating and many say these are the best scissors made for fine quilting and embroidery. These are 4 inch gold plated stork chanticleer embroidery scissors. Handmade Wrought Iron Bakers Carts! These are extra large scissors. They are perfect for large cutting tasks. These scissors are 9 1/2 inches long! The double knife edge blades will easily cut newspaper, heavy weight paper and fabrics. All of these scissors have a lifetime warranty! 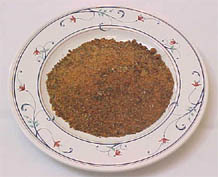 Click Here for Dry Porcini & Morel Mushrooms! These are true Left Handed scissors. Perfect for all left hand cutting tasks. These craft and hobby scissors are a great gift for every lefty! These scissors are designed to last for a lifetime of use! The scissors are 8 1/2 inches overall length. This is the new Chefs Paring Knife! This knife has an unbreakable poly handle. 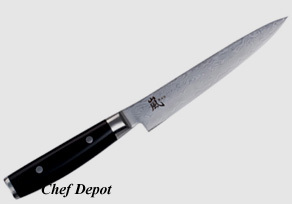 These knives have 3 1/4 inch long, no stain high carbon alloy steel blades. Chefs Note: A great little paring knife that is perfect for most small cutting and peeling tasks. We like the large tapered handle. Lifetime Warranty! NSF certified. Emeril, Charlie Trotter, Paul Kahn and many other famous Chefs! More BOOS Cutting boards are here and On Sale Now! This Messermeister 8 inch Flexible blade Fillet Knife is traditional in shape and features a sure grip. This Fillet Knife was designed by pro Chefs and fishermen. It features a 8 in. very sharp, smooth blade that cuts through scales, skin and fish like butter. This knife will hold an edge for a long time. We like it for filleting fish. German high carbon stainless steel blade One piece Enveloped tang, Extra durable knife blade. Industrial strength handle, Lifetime manufacturing warranty! We guarantee you will like this knife! 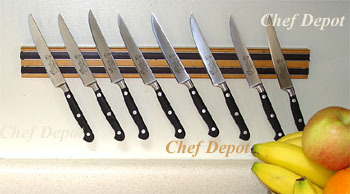 Click here, even more Fillet Knives! This is a new Yaxell Utility Knife, with 5 in. blade, Handmade in Seki City Japan. The VG10 High Carbon 69 layered steel Damascus blade is one of the sharpest and strongest blade made. Crafted by hand in Japan. The unbreakable poly linen micarta handle features 2 perfect rivets. The edge that is holds is hair splitting and remains throughout heavy use. Ideal 60 - 63 Rockwell hardness. 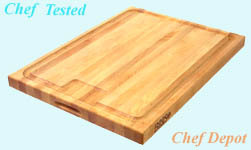 Click here for more NSF Cutting Boards!